Johannesburg - Cyril Ramaphosa on Monday night announced a major shakeup of the ministers in South Africa's economic cluster. By Tuesday, the country should have new ministers of finance, public enterprises, mining and energy. Following his swearing-in as president earlier in the month, a Cabinet reshuffle by Ramaphosa was widely predicted. But the new president played his cards close to his chest until he made the announcements just after 22:00 on Monday night during a brief address at the Union Buildings in Pretoria. Fin24 looks at who's in and who's out in some of the important ministries that make up the government's economic cluster. Ramaphosa announced that finance minister Malusi Gigaba and his deputy Sfiso Buthelezi were out. They have been replaced by Nhlanhla Nene as finance minister and ANC MP Mondli Gungubele as his deputy. Gigaba will be returning to his old post at home affairs, meaning he will still be part of Ramaphosa's Cabinet. There was little love lost between former Cabinet colleagues Lynne Brown and Pravin Gordhan when they met on different sides of Parliament's inquiry into governance at state power utility Eskom last year. 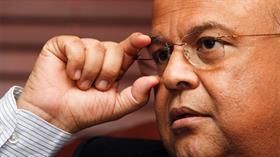 Now Gordhan, who has twice served in Cabinet as finance minister and once as minister of cooperative governance and traditional affairs, has replaced Brown as minister of public enterprises. 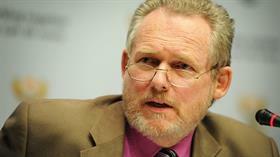 Before being axed on Monday evening, Brown was already having a difficult week. On Friday Public Protector Busisiwe Mkhwebane found that she 'inadvertently' misled Parliament when she denied there were engagements between power utility Eskom and the Gupta-linked company Trillian Capital. ANC chairperson and former general secretary of the National Union of Mineworkers Gwede Mantashe will be taking the place of Mosebenzi Zwane as minister of mineral resources. Before Monday evening's announcement there were already signs that Zwane, who was viewed as one of former president Jacob Zuma's allies, may be on his way out. He had reportedly been sidelined by Ramaphosa during his recent talks with the Chamber of Mines to postpone the mining advocacy body's court challenge against the revised Mining Charter. Ramaphosa announced that Cabinet veteran Jeff Radebe would take over from David Mahlobo as energy minister. Mahlobo, the former minister of state security, was only appointed minister of energy in mid-October 2017, in what some saw at the time as a last play to keep the controversial new nuclear build plan alive. 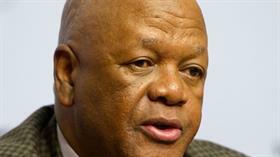 Radebe was previously minister in the presidency for planning, performance, monitoring, evaluation and administration. This position will be taken over by Dr Nkosazana Dlamini-Zuma, who Ramaphosa narrowly defeated in the vote to become ANC president last year. Economic Development Minister Ebrahim Patel, Trade and Industry Minister Rob Davies and Small Business Development Minister Lindiwe Zulu remain in their posts for now. Ramaphosa has, however, said that discussions to review the number of Cabinet posts are ongoing in a process that may take several months. 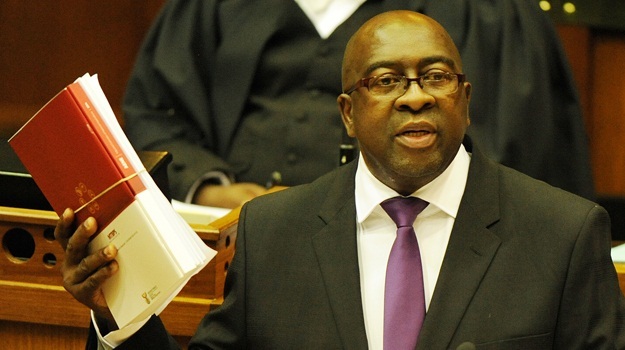 Two of the Cabinet posts Ramaphosa may consider axing are those of economic development and small business development, given that they are seen by some as too similar to that of the minister of finance.